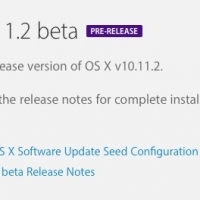 Apple today seeded the third beta of OS X 10.11.2 El Capitan to public beta testers, just a day after releasing the third beta to developers and two weeks after seeding the first OS X 10.11.2 public beta. 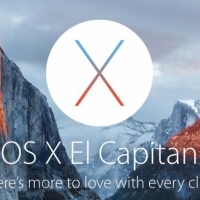 Today's update comes three weeks after the public launch of OS X El Capitan 10.11.1. Those who have signed up to participate in Apple's beta testing program can download the third OS X 10.11.2 beta using the Software Update mechanism in the Mac App Store. Non beta testers who want to participate can sign up on Apple's beta testing website. The first two OS X 10.11.2 betas did not appear to offer any obvious outward-facing changes, and the minor .2 update likely includes bug fixes, security enhancements, and performance improvements to address issues discovered since the release of OS X 10.11.1. Apple's release notes for the developer betas asks testers to focus on Graphics, Wi-Fi, Calendar, USB, Notes, Photos, and Spotlight, giving some insight into areas where improvements might be made.